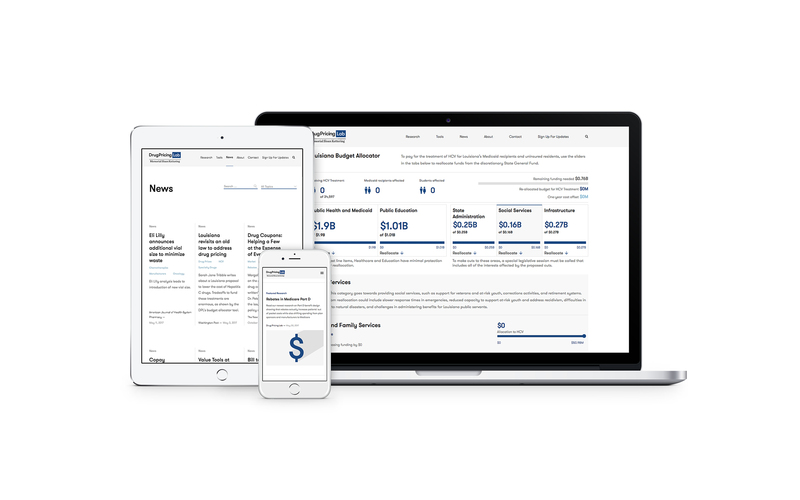 A site designed to provide policymakers, healthcare providers, and insurers with resources that will support and encourage fair drug pricing policies. Affordable healthcare is the single most visible debate in the US and can often feel driven more by political rhetoric than science. 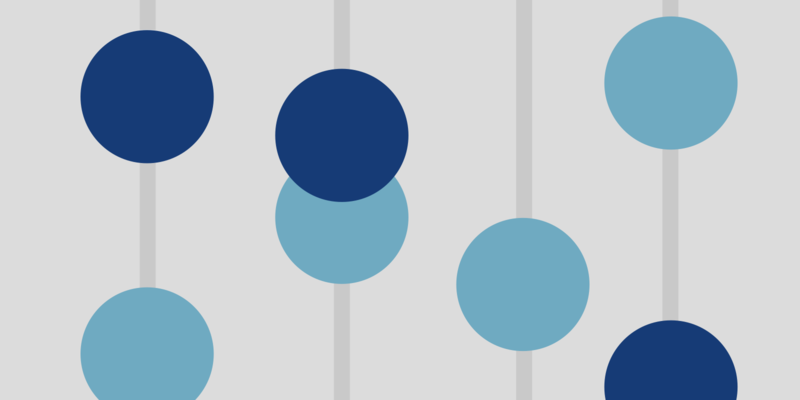 We were fortunate to partner with the Drug Pricing Lab at Memorial Sloan Kettering Cancer Center, an initiative headed by Dr. Peter Bach dedicated to rational and fair drug pricing, to design tools and resources that help policymakers make informed choices. We began with a clean and modern design language that reinforces the trustworthiness of DPL’s research while also prioritizing readability. 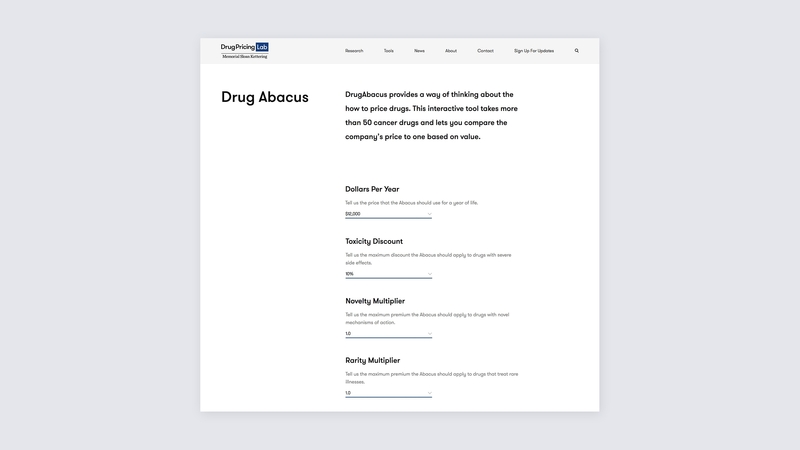 One of their biggest traffic drivers is the Drug Abacus tool, which allows users to explore the various factors in pricing cancer drugs. We helped clarify the inputs so users can understand the impact of each element. 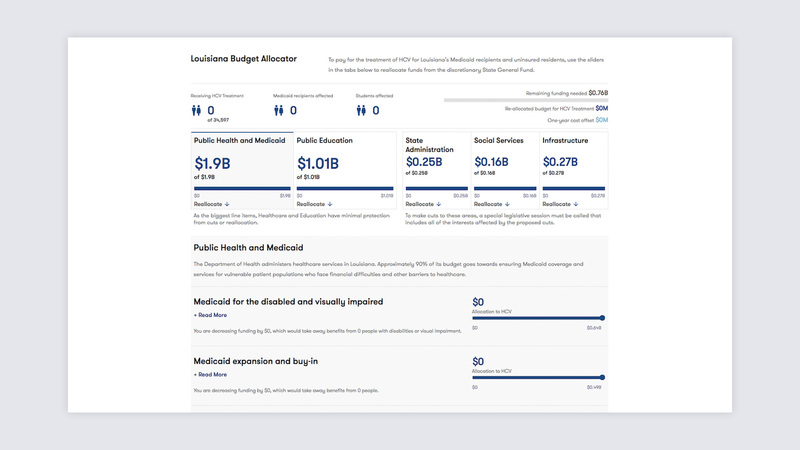 We also designed and developed the Louisiana Budget Allocator tool, which analyzes the budgetary impact of Hepatitis C treatment ion the Louisiana state budget. Can you treat all 35,000 Louisianans currently suffering from Hep C without defunding other crucial programs? The existing site was built on WordPress, which we reshaped using pure JS, a Redux store and a router. At the onset of the project, our goal was to simplify and illustrate the complexities of healthcare in the United States. With a clear, user-friendly site, the Drug Pricing Lab is even better positioned to facilitate a decision-making process that affects millions of Americans.